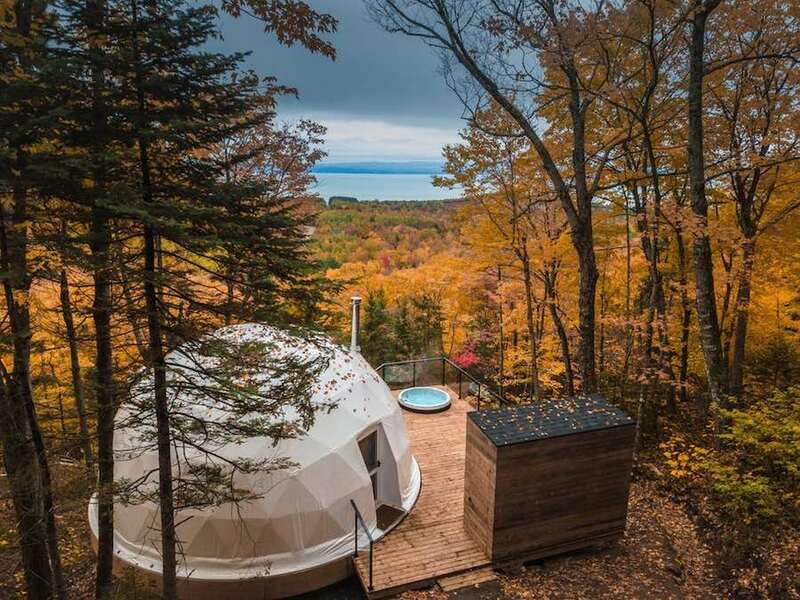 Experience luxury in harmony with nature at the Bourgeois / Lechasseur architects’ Dômes Charlevoix eco-luxurious accommodations in Quebec. 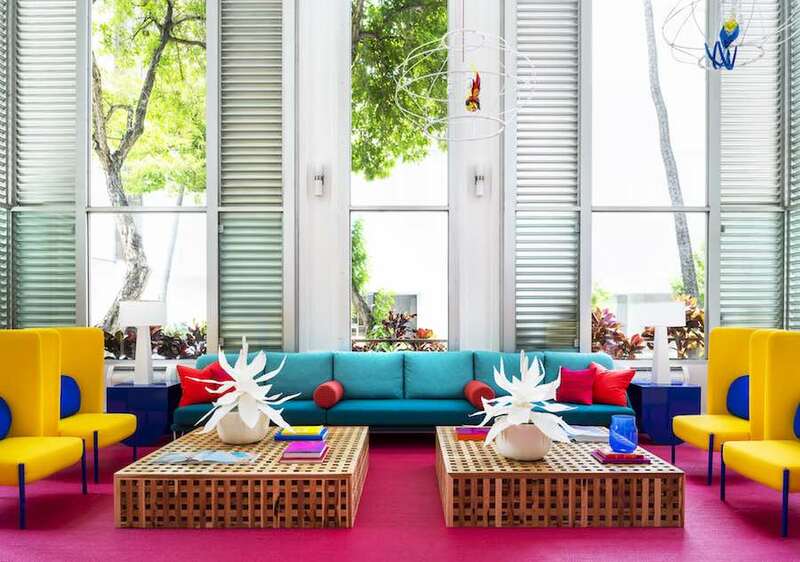 BHDM Design merged Hawaii’s luxuriant vibe and dramatic landscape and sunsets with a vibrant and contemporary twist for the Shoreline Hotel Waikiki in Honolulu. 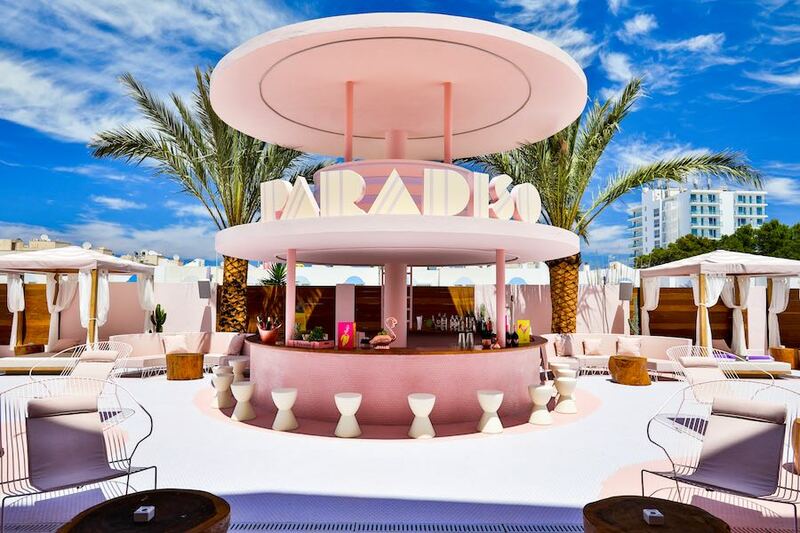 PARADISO Ibiza Art Hotel features pastel-hued art rooms, a free ‘transparent’ suite for art residences and a street-art gallery. Are you ready to to feel cozy in Lapland? 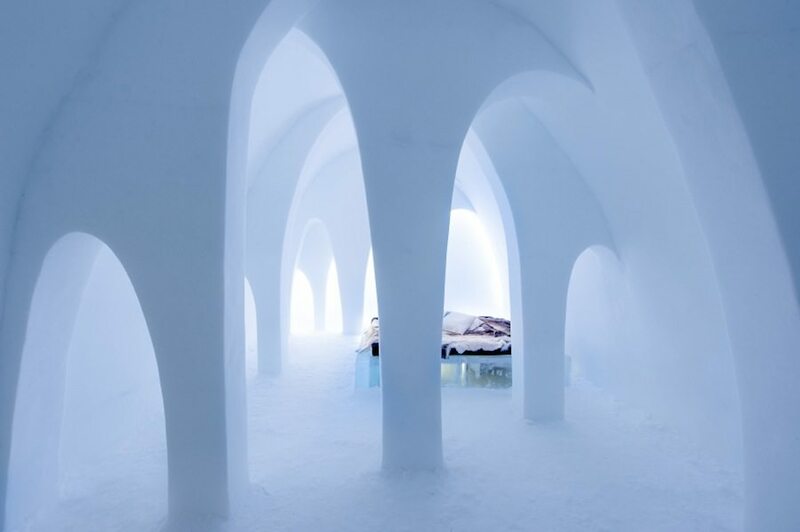 2017 IceHotel unveiled designers’ suites 200 km away from the Arctic Circle… Until Spring will melt them down. 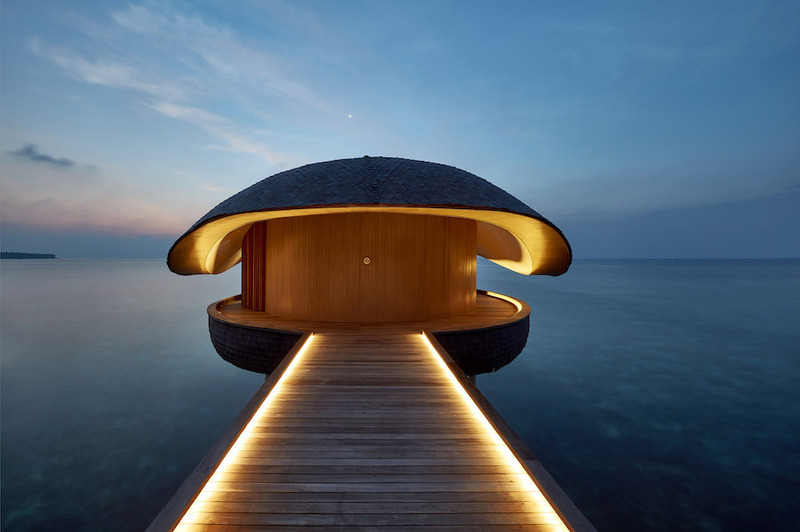 Manta rays, whale sharks and shells from the reefs inspired WOW Architects’ St. Regis Maldive Vummuli Resort which aims to raise awareness on sustainability and pays homage to local craftsmanship. Pillow fights, CCTV hunting trophies and an unconventional English tea room. 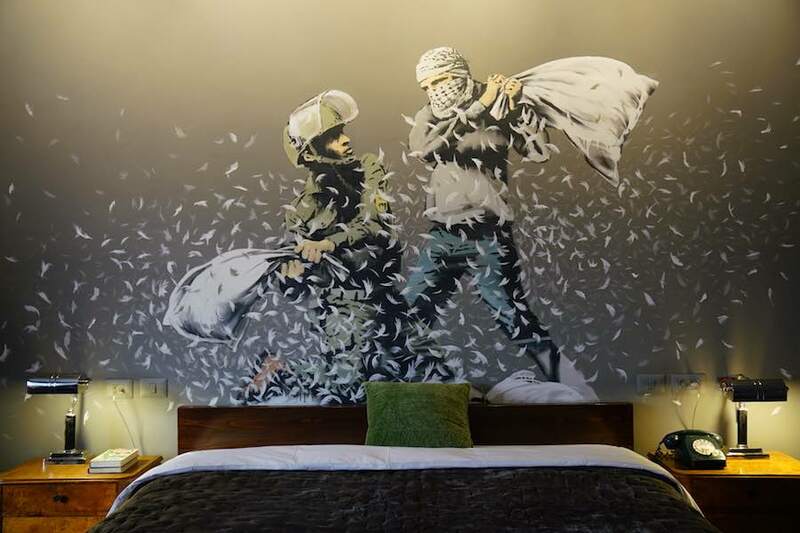 Banksy’s Walled Off Hotel in Bethlehem welcomes both Palestinians and Israelis just a few metres away from the controverse border wall. From postwar never-realized urban visions to fancy sleeping pods. 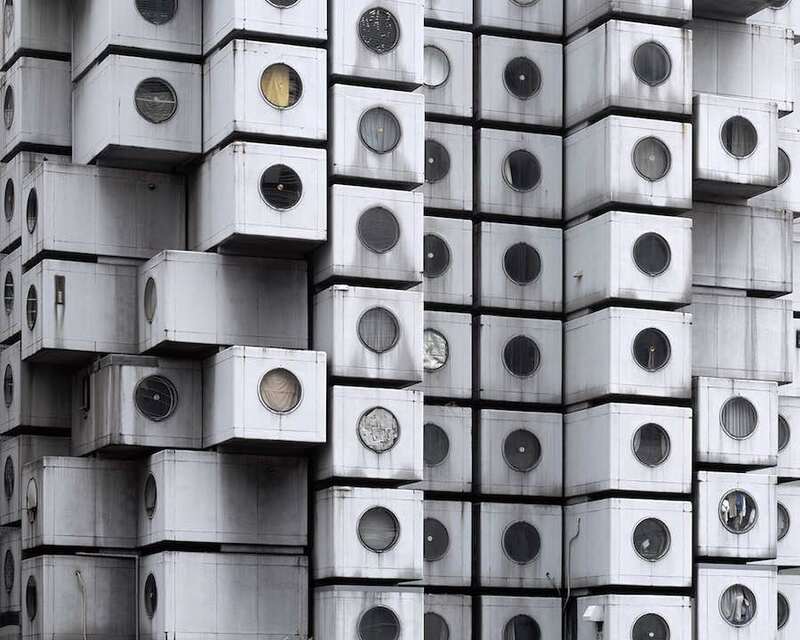 The history of Tokyo capsule hotels starts from the endangered Nakagin Capsule Tower photographed by Noritaka Minami. A forest of Gothic columns, the set of a horror movie, and even an elephant in the room. 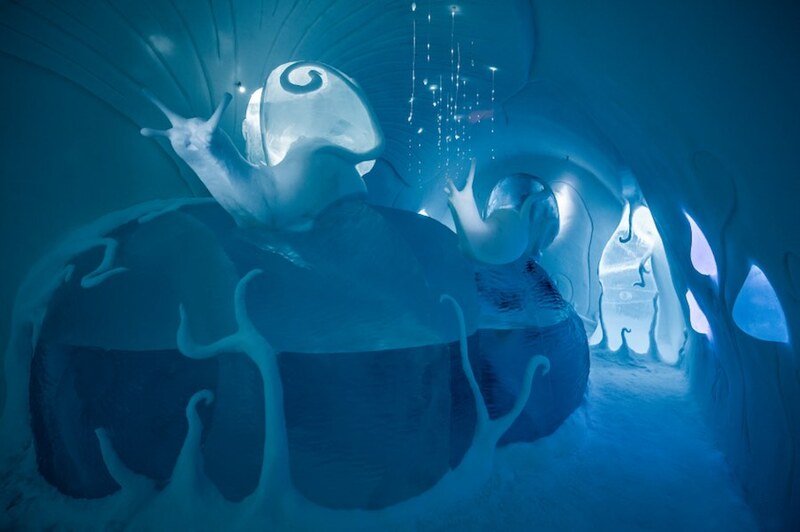 Sculptors and architects from around the world design art suites of the soon-to-be-melted Ice Hotel in Northern Sweden. 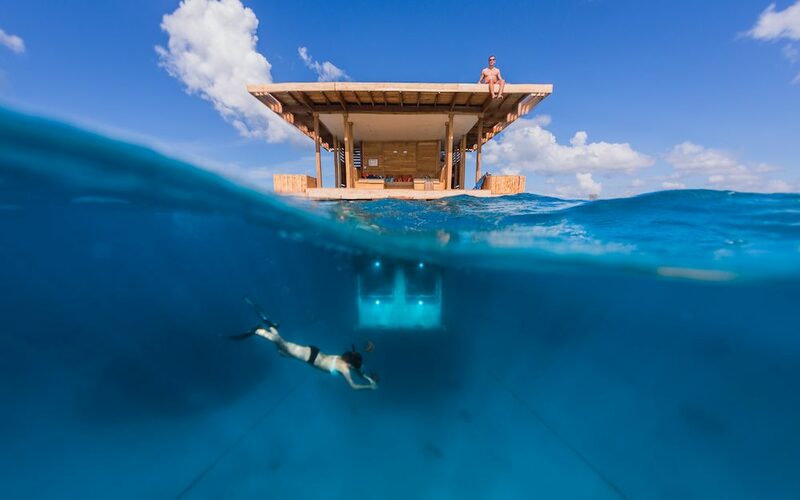 The Manta Underwater Room is the breath-taking floating project in the Indian Ocean that literally immerse guests in a responsible touristic experience with the lively murmur of the reef. 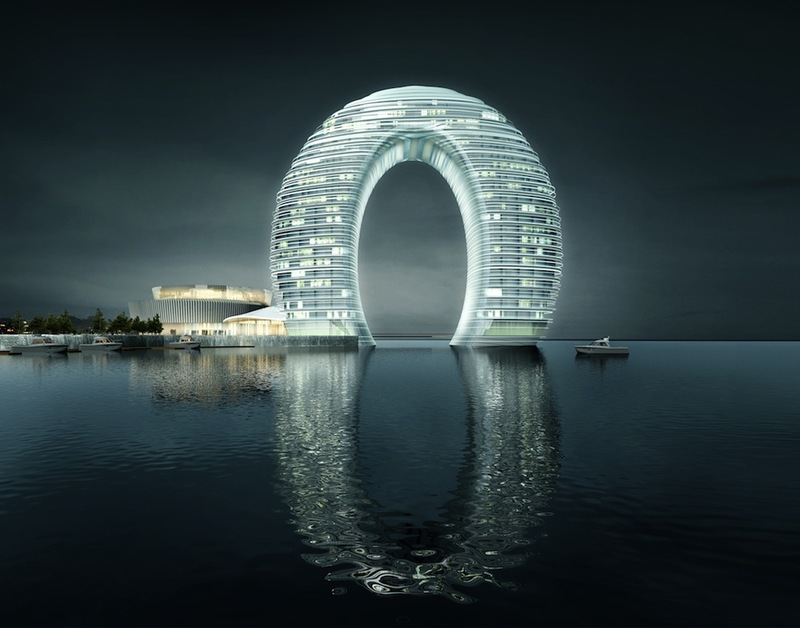 Visionnaire studio MAD Architects designed the Sheraton Moon Hotel rising on Nan Tai Lake in China to underline the link between human and nature.